NEW YORK - Oct. 4, 2017 - PRLog -- Every October, Hallak Cleaners celebrates Pink Pride month by doing its part towards fighting breast cancer. 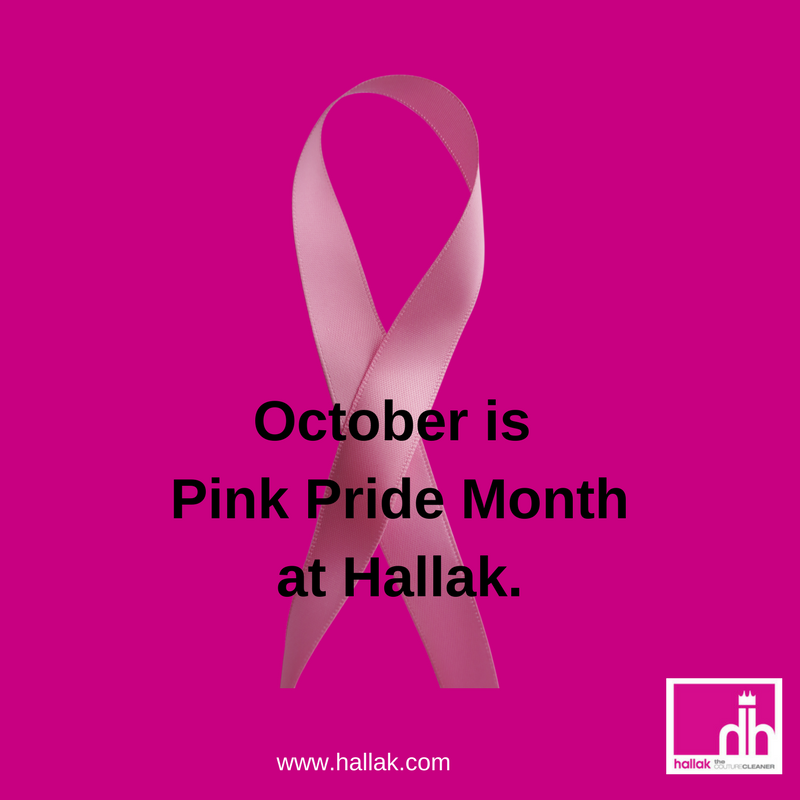 While Hallak donates to organizations throughout the year, pink pride holds a place in our hearts. Owners, John-Claude and Joe Hallak, Jr., are appreciative of their opportunity to join in the fight. Both retail locations will feature special Pink Pride giveaways at the counter over the next few weeks. For additional information on Hallak Cleaners, please call (212) 832-0750 or visit www.hallak.com. About Hallak Cleaners: Hallak Cleaners is a family-owned couture dry cleaner. Hallak Cleaners is well known in the Metropolitan area for their specialized services including couture, suede & leather, custom interior furnishings and wedding gown services. Hallak Cleaners offers complimentary pickup and delivery in Manhattan, Bergen County, Westchester and Greenwich.